The statistics show that coworking spaces are booming in Switzerland. According to the research of Michael Auf der Mauer, Senior Consultant bei der WuestPartner AG, there are already about 180 coworking spaces in Switzerland. Coworking spaces are launched not only by solo entrepreneurs but also by companies such as Swisscom, Generali, AXA Winterthur, Zürcher Kantonalbank. 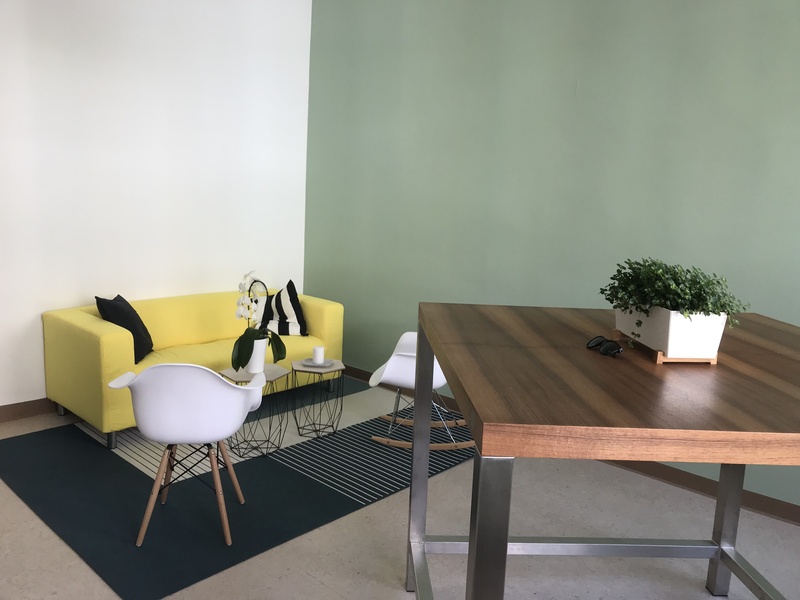 Coworking space projects as Impact Hub, Office LAB, D4 Business Village Luzern, Coworking Space Grenchen, Coworking Space Loreto are getting their audience not only from the local creative and start-up communities but they create them too. There is also another trend within the coworking space scene–women-only coworking spaces. 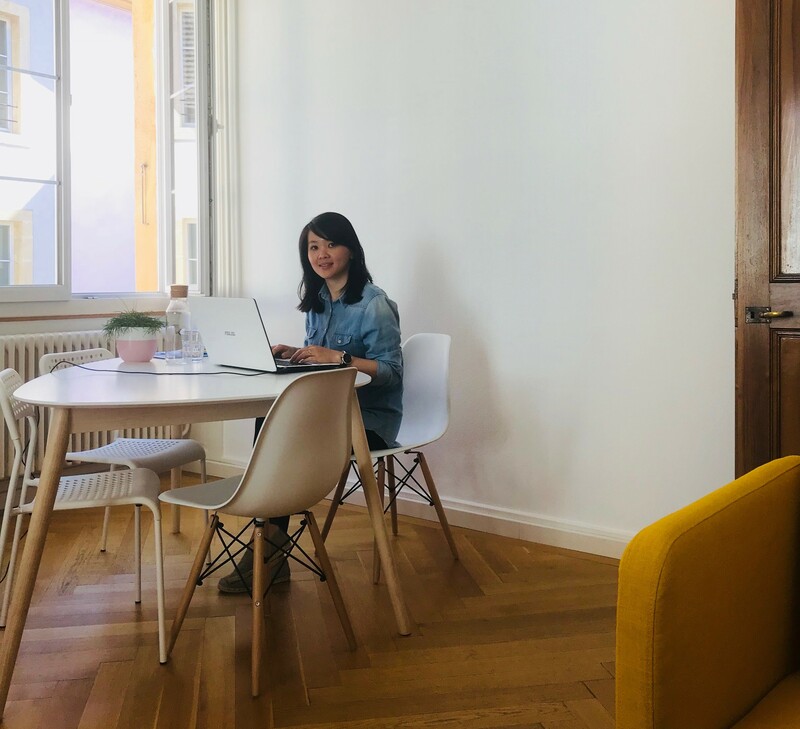 We talked to Joanne Gerussi who recently opened a coworking space Workpod about this trend, her motivation, the female community in Neuchâtel and plans for the future. Hi Joanne. How many coworking spaces are there in Neuchâtel? 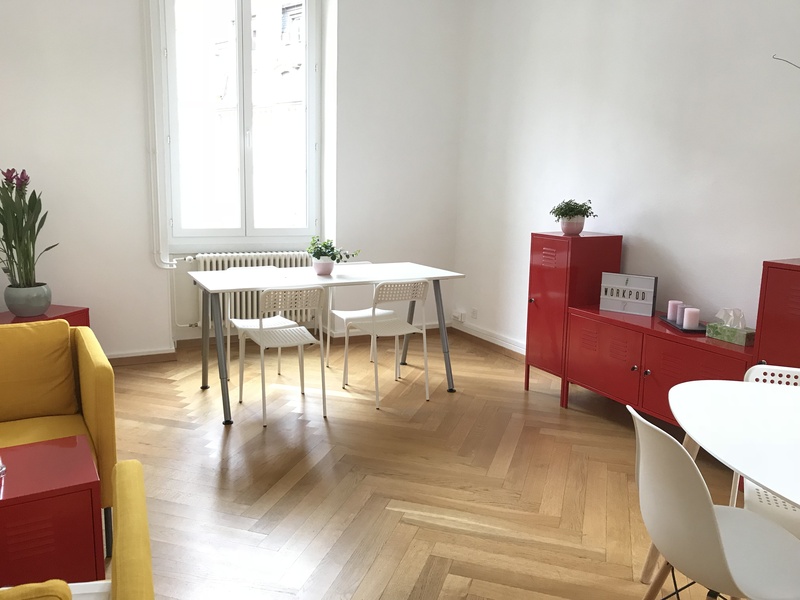 Currently there are four other coworking spaces in Neuchâtel aside from WorkPod. I wonder what did you do before opening this coworking space? What is your background? Prior to opening WorkPod, I was working as a software engineer for six years and six months as a Business Analyst in a semiconductor company. Who are the people behind WorkPod? WorkPod was founded by me with the help and support from my husband and in-laws – especially my mother-in-law. Why did you decide to open in Neuchâtel with only 33 000 people? Neuchâtel might be a small city but with the amount of associations dedicated to women and aim at helping other female entrepreneurs to flourish and be successful, this place definitely has its potential. I have lived in Neuchâtel for almost five years. Then, I realised that there is so much of untapped potential and market here. Other cities as Geneva, Zurich, Bern, Lausanne and even Fribourg have a variety of coworking spaces opened and being offered to the public. With the amount of international companies and expats in Neuchâtel, I realised that although it has only 33 000 of people, the opportunity is aplenty here. Also, due to the low number of coworking spaces here, there is still more to offer to the people in Neuchâtel. As a matter of fact, I use the lack of coworking spaces in this area to increase the awareness of this new way of working; to show the people here that the coworking culture is taking over the traditional way of working around the world and to offer something of quality while sharing my passion of providing a better environment and community for independent women to work. Another reason is my passion to empower women and support them in reaching their best potential and at the same time building a women’s community to help this women to be surrounded with motivated and like-minded women has led me to open WorkPod. Why is coworking for women only? Do you feel there is a demand for the women-only coworking space? Prior to opening WorkPod, I was working as a software engineer for two and a half years in Malaysia, spent another four years working as a software engineer and later on as a business analyst in La Chaux-de-Fonds. When I first arrived here, I was shocked that I was the only female engineer in the entire engineering department as compared to Malaysia. Due to the lack of woman in this male-dominated industry here, I was having difficulties being appreciated and taken seriously for my work and ideas. As a matter of fact, when I completed my Master’s in Information System Management recently and got offered a business analyst position, a meeting was held by all male colleagues to understand why I deserved to be promoted. Questions after questions were being asked to the management to know the relevance and validity of my new position. Meanwhile, other male colleagues who were promoted to the management positions were never questioned. Because of this injustice, I realised that I may not be the only female who is facing this kind of bias treatment at work. It was difficult to me to find a group of like-minded women at work who can understand what I had to go through and to have a sisterly support. Thus, I wanted to offer a space for women in Neuchâtel where they can express their ideas freely and with confidence without needing validation from men. WorkPod aims at creating a supportive and dynamic community and at the same allowing them to work together and support each other freely and genuinely. It is very intimidating for women to walk in into a new environment with mostly men in it. Therefore, the goal of WorkPod is to encourage women to feel at home. WorkPod is a sense of belonging. Countries like the U.S. and Australia have been promoting women-only coworking spaces. In fact, there are so many associations of independent women entrepreneurs in Neuchâtel that I know there is a request for a women-only community. As I mentioned earlier, it is all about showing the ladies a new way of working and that there is an alternative to working alone at home or noisy cafés. And that alternative is WorkPod–coworking space dedicated to women. What is a plan for 2018? My plan is to create awareness in Neuchâtel about the existence of this space. By the end of this year, I hope that there is already a strong WorkPod community formed and more ladies will be comfortable enough to embrace this new working culture. I am passionate about changing the way women work. Also, I am only touching the surface of this coworking culture and women-only community, there is more growth to come and I hope I can bring WorkPod to the next level. That was Joanne Gerussi from WorkPod. Would you like to receive our newsletter with know-how tips and relevant business agenda?